During Jesus’ last post-resurrection encounter with the disciples in the book of John, he gives them two invitations which display beautifully the heart of God. Peter, in John 18, denies Jesus while warming himself around a charcoal fire. He does it three times when accused, and after the third a rooster crows fulfilling Jesus’ prediction of Peter’s denial in John 13:38. What guilt he must have felt, what shame! In the moment he fears for his own life more than he cares for his master, his friend. 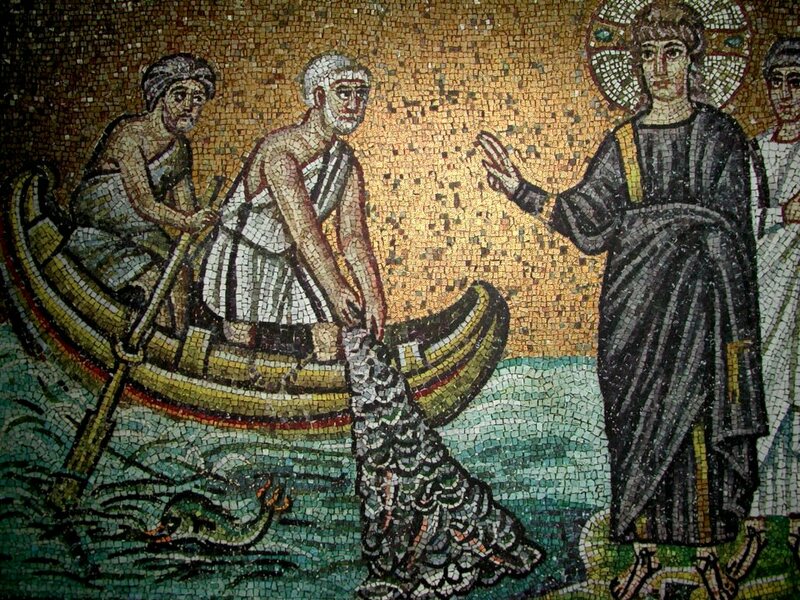 Later, in Galilee, Peter declares to the other disciples that he is going fishing which the fishermen in the group decide to join him in. And there, on the beach near where their boat is, is Jesus. Peter is so excited to see Jesus that he literally throws himself into the water and splashes to shore. 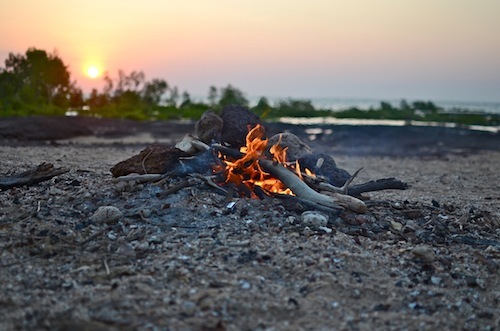 Where he sees a charcoal fire burning, with some fish already on it. I wonder if the smell from the fire triggered his memory, back to that day in the courtyard when he denied Jesus? I wonder if he felt shame temper his excitement? This invitation is an invitation to participate. Jesus already had a fire going with fish on it, he doesn’t need the disciple’s freshly caught fish at all. But he invites them to contribute too. This is an invitation of acceptance and inclusion. And it’s an invitation that God extends to all of us, to participate in his work in this world (see Eph. 2:10). He doesn’t need us at all, frankly, but he desires to include us. He wants us to do it with him, and makes space for us to do it. This is an invitation to fellowship, to communion. Jesus is saying “be with me.” Jesus wants to spend time with the disciples enjoying their company, as much as he wants them to enjoy his. And so it is with us too. We tend to think of God as “up there” and we are “down here,” both spatially and hierarchically, and he really is farther above us than we could ever understand. But he is also here with us, God Immanuel, surrounding and encompassing and filling us, and just as he wants us to be a part of his work here on earth, he also wants to be involved in our lives – from the mundane things like doing chores, driving or taking public transit, shaving, and even pooping; to the less mundane like working, raising children, having hobbies, and being in relationships. The thing to remember about these two invitations of Jesus, “participate with me” and “be with me,” is that he gave them to Peter before Peter was ‘restored,’ that is, before Jesus confronted Peter with his denial and desertion at Jesus’ arrest. He dealt gently with Peter, which really characterized his life – gentle and kind with the broken and oppressed, the trodden on and ‘sinners,’ and angry with the religious hypocrites who considered themselves ‘righteous’ in their own right. So much so, that those righteous called Jesus a “friend of sinners.” They meant it derogatorily, but Jesus really was a friend of sinners. Which is good news, because I am a sinner. Even as someone who desires to follow Jesus and his teachings, I still sin, even willingly sometimes. We all do. It doesn’t mean that Jesus is cool with it or permissive about it (he asked one time “why do you call me Master but do not do what I tell you to do?” Luke 6:46). But it does mean that as we in repentance turn to him, he doesn’t meet us with a brandished hickory switch, leather belt, or wet hand. Instead he meets us with a plate of bacon and eggs and a bowl of warm oatmeal. “Participate with me. Be with me.” These are the invitations of Jesus, and these invitations are for us. Whether you know Jesus or not, he is inviting you, to be a part of his family and his work on this earth.